In a dreadful morning a body cut into pieces and wrapped in a plastic bag is found in a clay deposit. All the signs point to an old-fashioned mafia style execution of a traitor. Strangely enough, Mimì Augello who lately has been unusually irritable and short-tempered, is now driving the entire police station crazy. Augello insists on being assigned to the case and, if he doesn’t get it, is threatening to request a new assignment elsewhere. An elderly couple, both religious fanatics, barricade themselves in their home and begin shooting from the windows and balconies apparently with no reason. 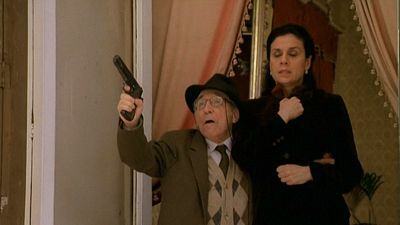 Montalbano’s men finally succeed in disarming them: there seems to be no reason for this insane action but inside the home they find a strangely disfigured inflatable doll. A few days later, when an identical doll is discovered in a garbage bin, Montalbano has a bad premonition. Montalbano wakes up from a nightmare: he dreamt of his funeral, and his bad mood gets worse as the stormy weather floods Vigàta. On his way to the police station, he runs into Vanna Digiulio, a girl just arrived from Palermo to meet her aunt, Livia Giovannini, who’s reaching Vigàta’s harbour on her yacht. As soon as Vanna’s aunt lands in Vigàta later than expected due to the discovery of a corpse at sea, Vanna disappears. Since Livia gets surprised as Montalbano asks after her niece, he starts doubting about the truth of the girl’s real identity. In Vigàta an old notebook is found, belonging to a boy, then aged 15, fascinated by fascist ideology. In its pages the young man confesses to carrying out a massacre in September 1943. While the police are trying to reconstruct and shed light on the story described in the diary, a sprightly ninety-year-old turns up, asking Salvo to have his name removed from a war memorial, to which it was added by mistake. 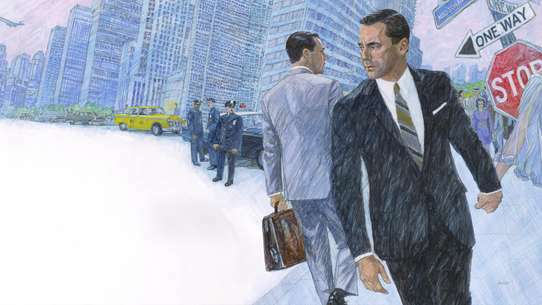 The next day a wealthy businessman from the city, also ninety years old, is found dead. As the small town of Vigata prepares for its New Year celebrations, local police inspector Salvo Montalbano is reluctantly making arrangements to travel to Paris with his girlfriend. What he would much rather do, however, is accept a dinner invitation by his cleaner Adelina, who has promised to cook rice croquettes. 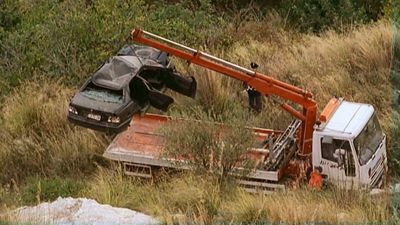 A wealthy husband and wife are found dead in what appears to be a car accident, but quickly turns into a murder investigation. And as the circumstances surrounding the death of the couple grow more and more mysterious, clues point to the involvement of Adelina's son Pasquale. Wealthy womanizer Angelo Pardo is killed in what seems to be a crime of passion. 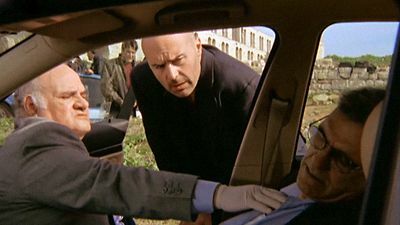 But Montalbano, as usual, refuses to trust appearances and carries out the investigation his way, delving into the victim's past and talking with anyone who may be involved in the case, including a number of politicians who start dying one after the other, victims of a bad batch of cocaine. In the end Montalbano faces the toughest challenge of his career: to try to comprehend the female psyche to solve this crime. A bomb goes off outside an empty store-room in a quiet Vigata street. Montalbano commences his investigation, but is soon disorientated by a series of disparate events, including the acquaintance of an attractive and mysterious woman. 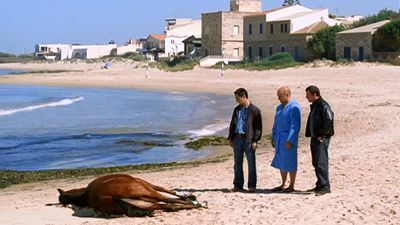 A badly injured horse dies on the beach in front of Montalbano's house. The investigation opened by the Chief detective brings him into contact with elegant races organized by local nobles, as well as the secret contests held by the mafia for illegal betting. Montalbano even meets a beautiful horsewoman who is a friend of Ingrid's. 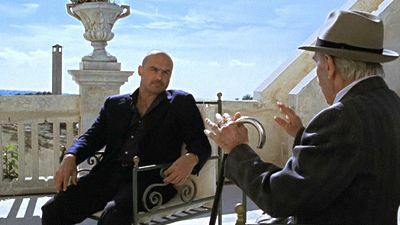 Avoiding the distractions placed in his way, Montalbano solves the case with a crafty strategy, even clearing the faithful Galluzzo of a murder charge. 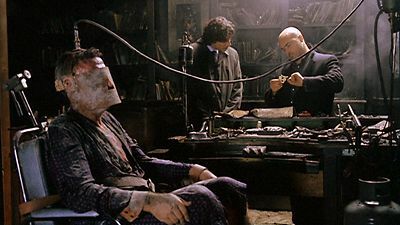 Fazio is missing. He's not at home, his mobile is switched off and he missed a meeting with his father who couldn't find him anywhere. Montalbano is convinced that Fazio started an investigation on his own, and he's probably in great trouble. Following Fazio's tracks, signs of shooting are found on a spot, and an informer reports having seen the young officer captured by two criminals who were planning to throw him in a dried well. 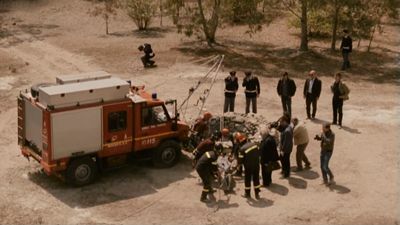 Montalbano's search becomes more and more dramatic and frantic, and even if Fazio seems definitely vanished, he's determined to find him alive at all costs. While a guest at the rented beach house of a fellow officer and his family, Montalbano discovers the body of Rina, a young woman who had disappeared six years earlier, in a trunk. As he begins his investigation, Montalbano falls prey to a burning passion for the dead woman's twin sister Adriana. She helps him search for the murderer, but, at the same time, she drives him wild, to the point where he unwittingly starts carrying out her plans for vengeance. Investor Emanuele Gargano has disappeared with the savings entrusted to him by the people of Montelusa. Montalbano's investigation brings him into contact with some of Gargano's staff - his obsessively loyal secretary Mariastella Cosentino and the provocative Michela Manganaro. Meanwhile, Augello is getting cold feet about the prospect of his wedding. A young woman is found dead and naked in the foyer of an apartment block, her body showing signs of what can only have been a brutal and sexually motivated murder. 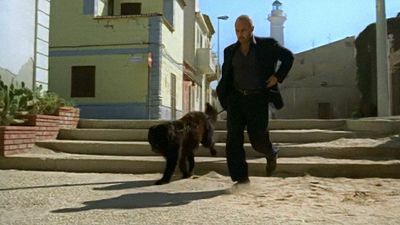 Montalbano sets out to investigate the circumstances surrounding the girl's death, but every one of the block's inhabitants claims to never have met her before. Someone must be lying. A series of mysterious muggings takes place in Vigata, ending in tragedy when one of the victims is killed. Meanwhile, a man virtually destroys the emergency room at the hospital after finding out that his young daughter is pregnant. A local doctor is also missing and presumed dead. 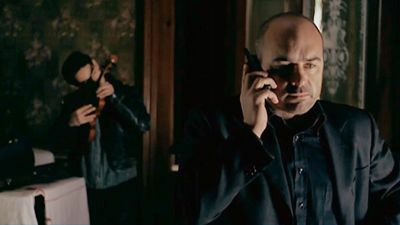 Montalbano investigates all three cases, gradually uncovering the links between them. Montalbano is visiting Livia in Boccadasse when he is called back to Vigata to investigate the murder of a 70-year-old prostitute - as well as disturbing accusations at an elementary school. Montalbano finds a decomposed body floating in the water during his morning swim, and that's just the start of the water-borne tragedies. Businessman Cosimo Barletta is found dead in his holiday home, with a gunshot to the head. Montalbano's investigation reveals a series of unexpected facts about the man's life and death - starting with the discovery of an archive of photographs of young women and continuing with the autopsy results, which indicate there might have been more to the man's killing than had initially met the eye. 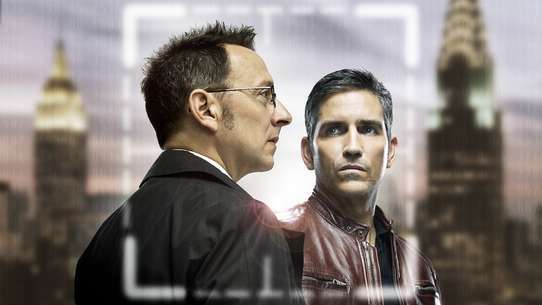 Salvo meets with Barletta's disowned son Arturo, and is helped along the investigation by Arturo's mysterious sister, Giovanna.